WordPress is one of the most popular content management systems and is a home for a large number of websites. From small-scale businesses to established firms, all are creating websites on WordPress for easy handling and maintenance. 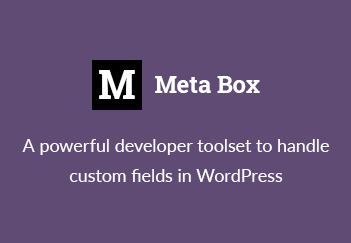 There are plenty of WordPress plugins, themes, etc. to make your handling easier and add some valuable features to improve your website. Social media holds a very significant part in the growth of your website as more people get to know about your brand and can connect through their social accounts. To make social media login part convenient for you, WordPress offers many plugins. Below, we have listed the top 10 social WordPress plugins for login that can prove to be beneficial for your website. Connected with more than 30 social media websites, Social Login is a free plugin that helps you register and comment on the posts. It can be placed on various parts of the website, like the comment formula, login page, registration page, in the sidebar or with a shortcode, based on your requirement. You can also use its widget. The visitors can choose to log in from all these social accounts – Amazon, Battle.net, Blogger, Disqus, Dribbble, Facebook, Foursquare, Github.com, Google, Instagram, LinkedIn, LiveJournal, Mail.ru, Odnoklassniki, OpenID, PayPal, Pinterest, PixelPin, Reddit, Skyrock.com, StackExchange, Steam, Twitch.tv, Twitter, Vimeo, Vkontakte, Windows Live, WordPress.com, Yahoo and YouTube. This WP plugin lets you log in with your social media account and lets you comment and share. The data can be shared to various applications including Whatsapp and email. As the setup is maintained by the company, this Social Login plugin by miniOrange offers a free trial period of 30 days. It offers a wide range of widgets and icons for your website to choose from. This plugin supports various social networking websites including Facebook, Twitter, Vkontakte, Google, LinkedIn, WindowsLive, Instagram, Salesforce and Amazon. Eliminating the need for long registration forms, Social Login Lite takes all the information from your social networking account. It is a free plugin and offers four designs of icons to choose from based on the theme of your website. This plugin only supports three major social networks – Facebook, Twitter and Google. You can upgrade to the Pro version for added features. WordPress Social Login is free to use and provides many services. The best part is that the widget is fully customizable and you will enjoy having this plugin if you are a developer. You can choose from different types of providers based on your audiences, like Social networks, Microblogging platforms, Professional networks, Media, Photo sharing, Programmers and Gamers networks. The websites supported by this plugin are – Facebook, Google, Twitter, Windows Live, Yahoo!, LinkedIn, Reddit, Disqus, Tumblr, StackOverflow, GitHub, Dribbble, Instagram, 500px, Foursquare, Steam, Twitch.tv, Mixi, Vkontakte, Mail.ru, Yandex, Odnoklassniki, Goodreads, Skyrock, Last.fm, AOL and PixelPin. This plugin is available for free for a trial period of 1 month, you can use the paid version after that. Premium Social Login plugin offers you services like social login and sharing, where people can log in to your website using one of their social networking accounts and share on other platforms. Also, you can build long-term relationships with the users, as you get access to all their data. There are facilities, like social data integration and social analytics to enhance your working experience. Available for $10 a month after the free trial period of 30 days, Social All plugin helps your users log in to the website with their social account and ensures password security. There are more than 15 social networking websites you can use to log into your website with this plugin – Facebook, Google Plus, LinkedIn, Twitter, WordPress, Disqus, Foursquare, Github, Last.fm, Live, Mail.ru, Plurk, Reddit, Tumblr, Vkontakte, Instagram, Pinterest, Ebay, Amazon, Yahoo!, Weibo, Twitch and Steam. Your website users can access it from these social media accounts, such as Twitter, Facebook and Google+. YITH WooCommerce Social Login brings in the ease of use to your e-commerce website. The login buttons are automatically added to “My Account” page, WP login and Checkout Page. This plugin is available in a wide range of languages and supports around 100 social media website logins from across the globe. Super Socializer is a free plugin and it lets you fully customize the icons. With 24×7 online support available, this plugin provides facilities like login, sharing and helping you collect the user data for customer building. Login Widget with Shortcode supports login with Facebook, Twitter, Google and LinkedIn accounts. This plugin lets you log in and comment via one of your social media accounts. After installing the plugin, the widget can be placed in the sidebar. Having more than 30 social providers, Login with Auth0 is a secure plugin for accessing the website using social media accounts. It reduces spam accounts and provides you with the user data. Which social login plugin for WordPress is the best? I personally recommend Social Login by miniOrange. It has not only social login feature but also has social sharing buttons as well as social comment box. The plugin is easy to use (you can just install and forget) and works perfectly. Letting people use your website with their social media accounts helps you get their contact and other information, which can be useful for building the customer relationship. Also, it eliminates the need of filling a long registration form and there is no need to remember a separate username and password for the website. These plugins play a vital role and help more people to connect with your website. There are many free and paid WordPress plugins for other purposes as well. We hope this article was useful for you. Please share your valuable feedback to make us work better. Deepak Vijay has a strong technical background. Presently, he is working with skylark, a mobile app development firm, Singapore. Having expertise in the field of various content management systems, especially WordPress, Deepak shares his experience and knowledge with the world through his articles.